In one of the strangest and most interesting digital trends in recent times, people across the generational divide (from all walks of life) are playing the hottest augmented reality game Pokémon Go. In their attempt to catch all of the monsters, people are getting out and hunting for these animated figures. 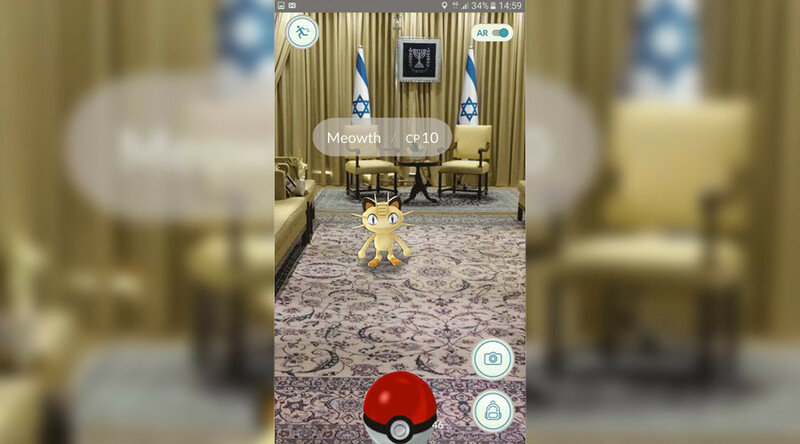 Even the President of Israel is playing it. Ironically, Pokemon is not a new phenomenon, it’s brand has been active for over 20 years. Global leaders, millenials, and so many others around the world are playing this addictive augmented reality game and using it to interact with the world around them—including other people and physical locations. According to Vox Culture, 92% of the active players are 34 and younger with 40% of those who downloaded the game over the age of 24. If marketers are smart, and know what they’re doing, they can leverage the allure of rare Pokemon to promote a local business. Before you embark in marketing on Pokemon Go, or any digital platform for that matter, make sure that your target audience and persona match the age of active players. Don’t know who your personas are? Well then, take some time to create them before playing this game. Sounds simple, right? But why are rare Pokemon so important to become a marketing tool? Within the game, there is something called a lure, which basically turns a Pokestop into a hotspot for catching Pokémon. In this way, players lure the Pokemon to them instead of having to run around and hunt for these little critters. To me, it sounds like a great way for businesses to attract potential customers. That is of course if your store is near a Pokestop. **Important note is that lures last for half an hour but they can be leaked throughout the day. According to Inc, dropping a Pokemon lure cost on average $1.19 an hour. So, for a little over $30 a business can attract many potential customers. These lures are also easily shareable on social media. So it’s a double win- in the game and on social platforms. So your business is within the target audience, it’s interested in Pokemon Go marketing, and now the next step. Don’t just play the game and invest without understanding how people play. In this game, players are looking for a quick fix, there’s no time for hanging out when rare Pokemon are on the loose. Make the lure attractive or they won’t bite the bait. Great businesses for this style of marketing? How about restaurants and food stores. For about $60, they can lure hundreds of potential customers, grab a coke and a burger and also find that rare Pokemon. Rare Pokemon can only be found in unique places. The highly coveted catches can be a players dream and a local business boon. How do brands go about leveraging the rare find and their business? Here’s a great inforgraphic that explains the process of hunting rare Pokemon. With this information, luring players is easy and marketing your brand should be a cinch.